Our 35+ student organizations are a great way to explore fields or hobbies you’re passionate about. You can also meet people who share those interests, and get knowledge and experience that will help you in your career. Another way to explore liberal arts and connect with other students is to live in our Residential Based Learning Community. The organizations in the School of Liberal Arts are just the start. 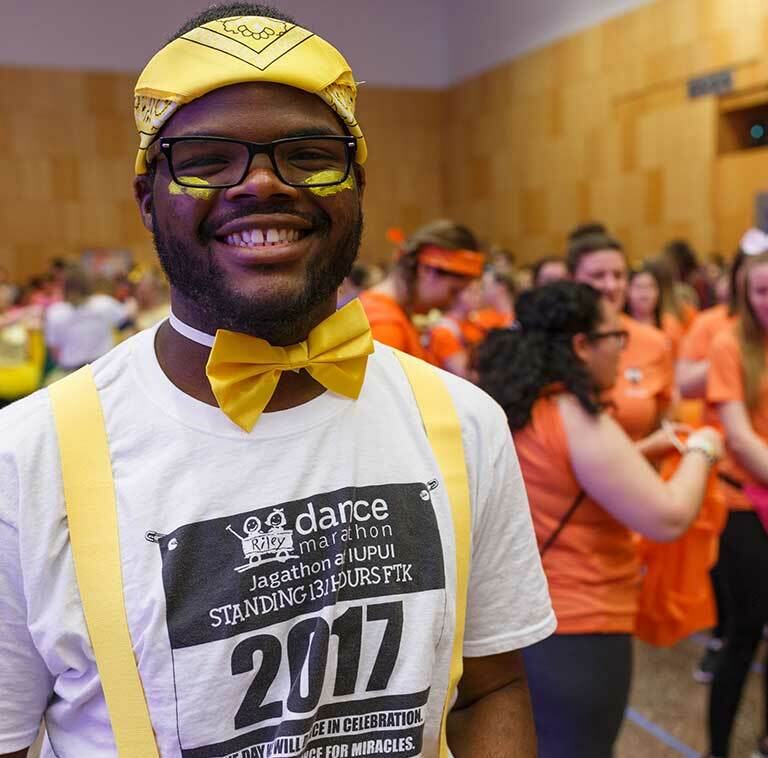 Jagathon, IUPUI’s dance marathon, raises money for Riley Hospital for Children. 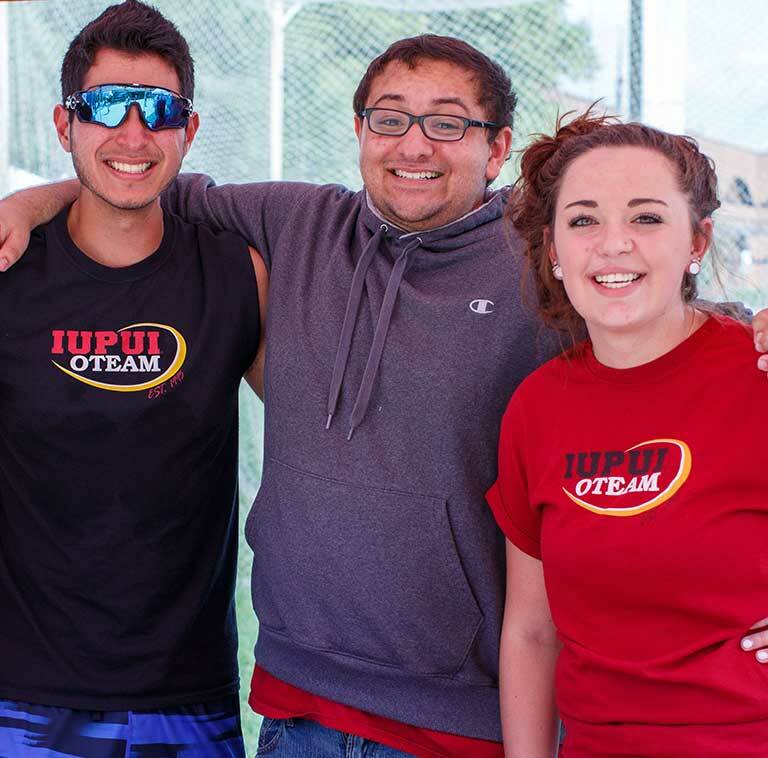 Members of the IUPUI OTEAM hang out during the Weeks of Welcome Ice Cream Social and Involvement Expo. The Liberal Arts Student Council coordinates student activities, works with the school and campus, and funds our student organizations. All liberal arts students can participate. Our Student Ambassadors represent the school to future students, alumni, donors, and the community. You can support your school while getting resume-worthy experience. Learn more and contact these groups through The Den.